Our today's life to great extent depends from computers, which need some upgrade from time to time, so your store is going to have lots of visitors. Slider looks very effective showing hardware together with descriptions. Featured products are supplied with hover effect allowing to examine the items better. Navigation consists of drop down menu, banners and footer links. 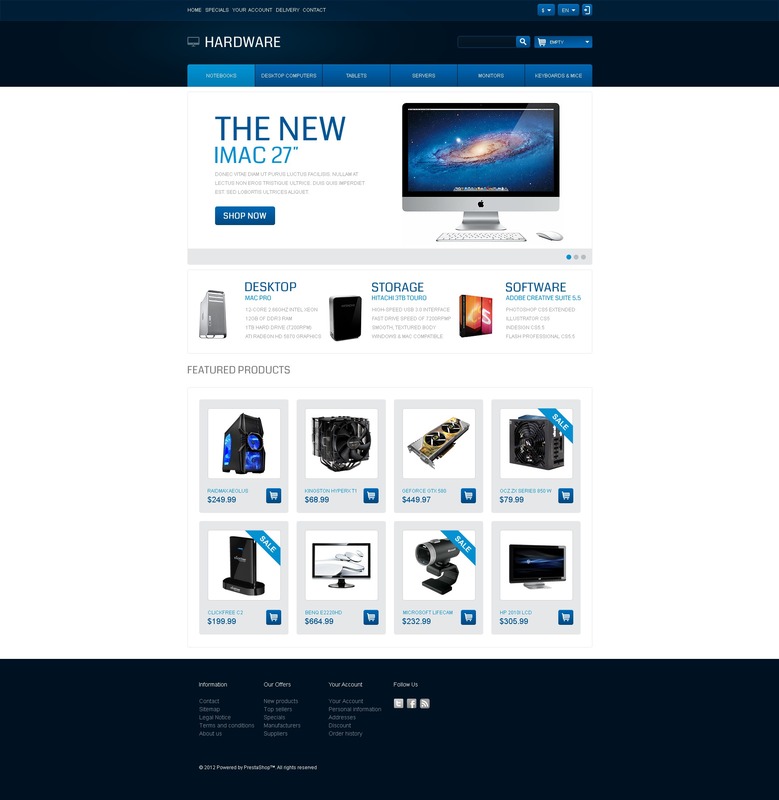 Use this template for online computer, electronics, mobile phone and digital hardware stores.